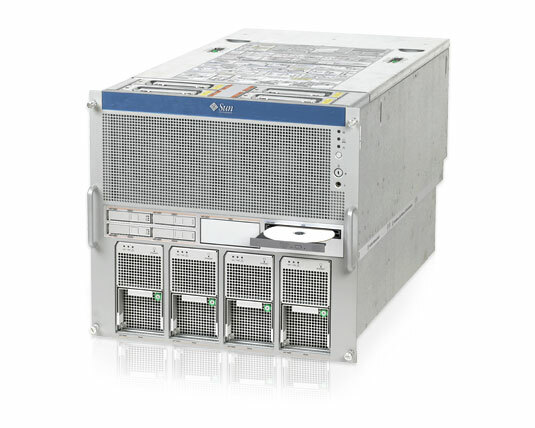 The Sun SPARC Enterprise M5000 server can hold up to eight dual-core 2.1 GHz SPARC64 VI processors. The 10RU system is also available in new entry-level configuration. Request a quote now on a used Sun M5000 Server Model, or contact us at info@vibrant.com or 888-443-8606 with any questions and price requests. For pricing on new or used Sun SPARC Enterprise M5000 servers, upgrades or parts, please contact Vibrant sales at sales@vibrant.com or call 888-443-8606 or 952-653-1700.